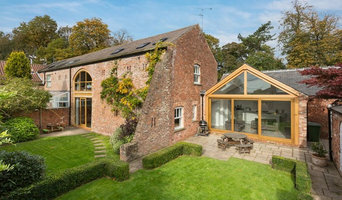 Niche Design Architects gives developers, domestic and commercial customers across Yorkshire a full and high quality architectural service with a personal touch. The RIBA-chartered practice, in Burley-in-Wharfedale, near Ilkley, was founded five years ago by talented and experienced architects, Chris and Cathy Hunt. They attract wide praise and recommendation for their skill in bringing ambitious projects to fruition. They are known for: *exceptional design *expert technical drawing *knowledge of Planning issues and Building Regulations *their friendly approach Niche Design’s wide-ranging portfolio spans Leeds, Bradford, Skipton, Harrogate, Ilkley, Otley, Keighley, Wetherby, the Yorkshire Dales and beyond. Celebrating 10 Years Of Great Architecture - Specialist Residential Design Architects for Northern England. Transform Architects is a dynamic, fresh-thinking, RIBA Chartered Practice established in 2004, based in the heart of West Yorkshire. 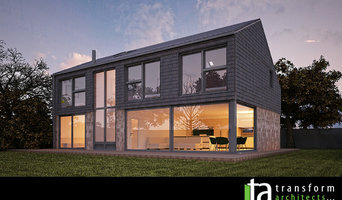 We specialise in contemporary self builds, extensions, disability adaptations and makeovers. We enable our clients to recognise what they want, visualise what it will look like, understand the costs, make important design/specification decisions and oversee the contractual work until the project is completed. We define residential architectural problems with beautiful solutions and transforming lives through the architecture we produce. At DMS Architecture we have extensive experience providing architectural services from the initial concept through to project completion; All members of our team have a wealth of experience working in the residential, commercial, healthcare and education sectors for a wide variety of clients – from private individuals through to companies and large public sector organisations. We provide a professional, creative service across a wide variety of projects sizes – from small refurbishments and one off houses through to large-scale residential, commercial and mixed-use developments. Project values from £25k to £50m. We understand how important your property is to you and share your excitement when it comes to improving your lifestyle through great architecture. Studio J Architects is a small and friendly, yet professional practice where client satisfaction is our number one priority. We are experts in our field and passionate about creating lasting architecture that is bespoke to your needs. We believe all projects are unique and should be treated with care and consideration to ensure you receive a service second to none, and a building to be proud of. We are an independent creative practice made up of a tight knit team of designers and technologists, working together to create projects that we can be proud of. Best of Houzz 2016, 2017 & 2018! Wighton Architects are based in Leeds, West Yorkshire and undertake commissions throughout Leeds, Harrogate and York and across the UK. With experience in the residential sector Wighton Architects are able to offer a full architecture service. Projects undertaken include sympathetic renovations and refurbishments of existing properties, often listed and in conservation areas or Areas of Outstanding Natural Beauty (AONB's), through to the design of contemporary new build schemes encompassing residential apartments and private houses. Working closely with the client and design team we provide a high quality architecture service creating a process which is enjoyed by all which results in quality environments and houses in which to live, work and play. 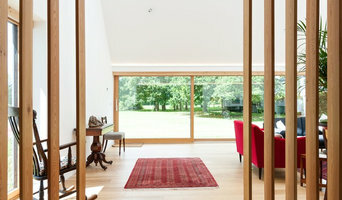 Crescent Architects Ltd is a practice built on a strong foundation of knowledge and expertise. The practice offers a fresh and innovative approach, looking to achieve excellence through quality of design. Our key interest lies in delivering inspired architecture that sits sympathetically within the surrounding environment. 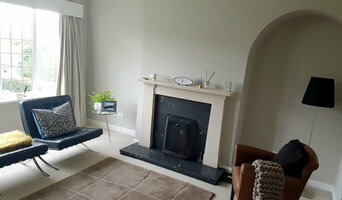 The studio is located in the village of Riccall, between Selby and York, and founded by Suzanne Fowler, an RIBA Chartered Architect, We are keen to provide a personal service and treat every project with the care it deserves. The main ambition we have is to ensure that the homes and buildings we design, live in, and work in, will create healthy bodies and minds, encapsulate the imagination, and uphold the dreams of our clients. Fibre Architects is a successful and innovative, client-focused, design led architectural practice based in Huddersfield, West Yorkshire. Our clients benefit from our excellent design skills and creative approach, listening and translating their needs into high quality design solutions for new-build, extensions and refurbishment projects. This approach also improves and adds considerable value to our clients' property and land by ensuring deliverability and driving sustainability in a wide variety of building sectors. Our Honest and Professional Service will help you realise your vision while maximising your buildings potential. When we design, we take your needs and requirements very seriously. We aim to work with you to achieve a smooth transition from concept to realisation and to guide you through the process. Situated in the heart of Holmfirth, near Huddersfield, West Yorkshire, we are an experienced and committed team of architects, architectural technologists and designers. We believe that good architecture derives from a thorough understanding of buildings and their construction, combined with an appreciation of the role architecture plays in forming distinctive urban places and characteristic, regional landscapes. Taking the best from what has gone before and the properties of traditional and natural building materials, we seek wherever possible to use these in a creative and innovative manner to fulfil todays needs and aspirations. “The personal service we give every client is the foundation on which our business and success is built” We provide designs with a sense of place and a strong regional character, that will both age gracefully and have minimal impact on our environment. Fundamental, however to our success, is the strength of our client relationships. We pride ourselves on the quality of service we offer to each and every client and this is often reflected in the level of repeat business we receive. How do I choose the right Leeds, West Yorkshire architect? Begin by determining the type of architectural service you require. Is it merely advice that you need? Or a detailed set of architectural design plans? Are you hoping to add a single-storey extension or are you really looking for someone to design you a custom home and handle construction management right through to completion? One of the most important duties of full service architects in Leeds, West Yorkshire is to serve as project managers and supervise most aspects of construction as well as facilitate communication between all other contractors. Architecture is an incredibly technical profession and one where getting things wrong can literally put lives at risk, so do background checks on your Leeds architect. Check they are registered with architecture associations such as the Architect’s Registration Board (ARB) and The Royal Institute of British Architects (RIBA). Being part of an architecture association means that an architect or architecture firm has met certain standards, qualifications and practices, and can be held accountable if they don’t meet these standards. It’s advisable to choose architects that specialise in the kind of project that you are undertaking as their existing experience will shine through in the completed design. Look for an architect in Leeds, West Yorkshire that can provide references and reviews of their previous work. Once you have determined the service level you need, your next consideration will be architectural style. Some architects specialise in designing for traditional housing such as period cottages and country homes, or even in designing modern replicas in a period style. Others have a knack for imagining bolder, more futuristic architectural design in Leeds, West Yorkshire incorporating the latest green technology. Check their Houzz profile and website for examples of previous work. Early on, try to gauge availability – there’s no point in choosing an architect that’s going to be booked for months if you have a tight deadline. Some architects are happy to do all their work online or over the phone with you, but if you’d prefer to work with an architect in person then check that your chosen architects in Leeds, West Yorkshire will travel to you. At the first meeting, preferably at your property or building site, give as clear a picture as possible of the kind of home you are trying to create to your architects. Chat through your goals, projected budget, scope of work, schedule and feedback, together with any very specific requirements you might have. It is crucial that your architects are clear about their responsibilities and that these are documented in the contract. Ask them to walk you through the process, including the number of architectural design consultations, site visits and what they will be delivering and when, e.g. feasibility study, a technical drawing, tender package and/or planning application drawings. They could illustrate this using a previous client’s project. Also, what does the architect need from you? Deeds, rights of way, deposit, staged payments etc. Once you have covered all this detail, you are ready to make your choice and get started. The architecture company in Leeds, West Yorkshire that you hire will likely start with concept drawings and finish with construction drawings and documents. Some firms even design with 3D renderings, CAD and videos, but this is by no means essential. You are looking for architects in Leeds, West Yorkshire that have the right balance of creative flair, technical nous, practicality and impeccable service to see you through. Get a sense of whether they are a good listener, collaborator and problem solver. Checking their references will also be invaluable at this stage so look at their Houzz profile for past customer reviews. Ask to speak to previous clients, particularly regarding their responsiveness and ability to work creatively around a budget. There is no set payment structure for an architect. Some Leeds, West Yorkshire architects will charge an hourly rate, others base their fees on a percentage of the total construction cost or propose a fixed fee (payable in instalments) for projects such as house extensions or a complete home design. You may wish to pay in stages to safeguard against any possible dissatisfaction with the quality of service. Make sure the total figure and payment schedule is agreed as part of your contract, particularly if you are trying to accurately estimate the cost of building a house. What are the important questions to ask architects in Leeds, West Yorkshire? How long have you been an architect in Leeds, West Yorkshire? Are you part of ARB and RIBA? Are you part of any other associations of architectural design in Leeds, West Yorkshire? 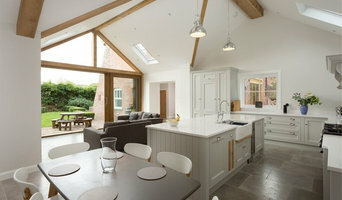 Find architects in Leeds, West Yorkshire on Houzz in the Find a Pro section today. Start by browsing the architects and Leeds, West Yorkshire architectural design firms near you and assess their reviews, latest projects and contact details.